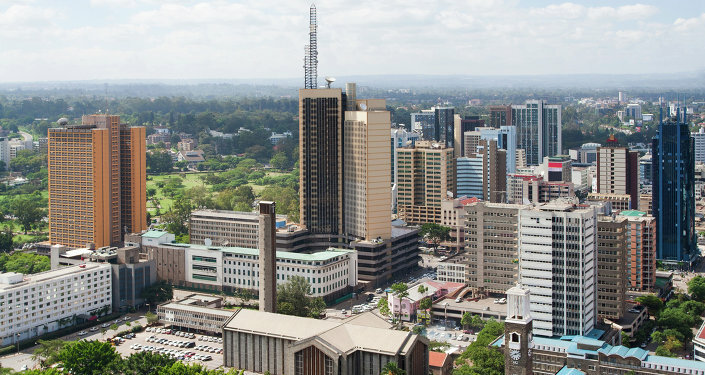 Kenya will see considerable economic benefits from the participation in China's One Belt, One Road initiative, as it will help the country to become a regional trade hub and entry point for direct foreign investment, Program Manager of the Sino Africa Centre of Excellence (SACE) Foundation Adedana Ashebir told Sputnik. NAIROBI (Sputnik), Anastasia Levchenko – China's strategic One Belt, One Road initiative aims to redirect its domestic economic potential and investments for development of international infrastructure projects in Asia, Europe and Africa. The initiative consists of two major projects: the creation of the original Silk Road from Asia via the Middle East to Europe and a maritime road connecting China’s port facilities with the east African coast, leading to Europe via the Red Sea and the Mediterranean. "Kenya will become Africa's gateway for business, investment and trade. One Belt, One Road policy is essentially creating a new maritime silk road… This will connect Europe, Asia and Africa through various ports. It will help Kenya become an even greater hub in the region for trade," Ashebir said. Answering the question whether there is a danger that Kenya will just become overflooded with Chinese goods, Ashebir explained that such problem already existed in some cases and was unlikely to be worsened. In particular, Nigerian textile producers have already complained that they are being pushed out of the market by Chinese goods, according to Ashebir. In 2013, Chinese President Xi Jinping proposed the Silk Road initiative, which aims to create a transport network from the Pacific Ocean to the Baltic Sea, tear down trade and investment barriers, and increase the use of local currencies in trade settlements.